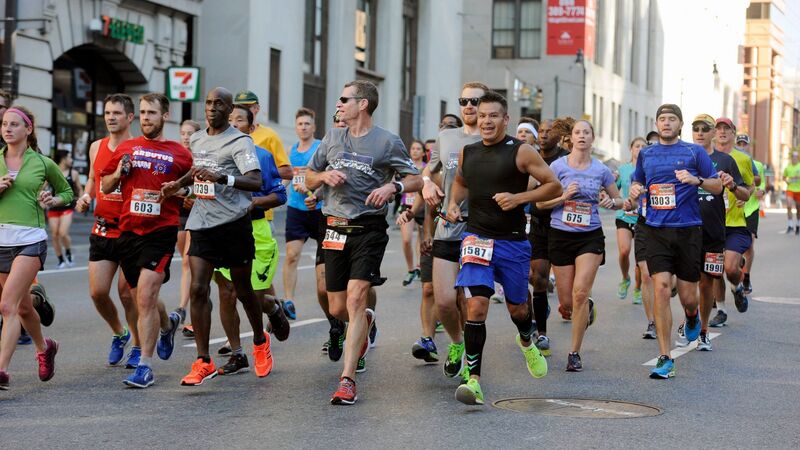 The fair yet challenging course travels through the many diverse neighborhoods including the scenic Inner Harbor waterfront area, historic Federal Hill and charming Fells Point. The route also travels through the Maryland Zoo in Baltimore right past the penguin exhibit who will undoubtedly be dressed in their tuxedos awaiting your arrival. Miles 16-20 of the marathon route have been compared to Boston’s famed “Heartbreak Hill” but runners are rewarded with a loop around Lake Montebello which provides some relief and flat terrain. The final 5 miles are mostly downhill and boast some of our most friendly spectators who have been known to hand out gummy bears and open their homes for bathroom emergencies. 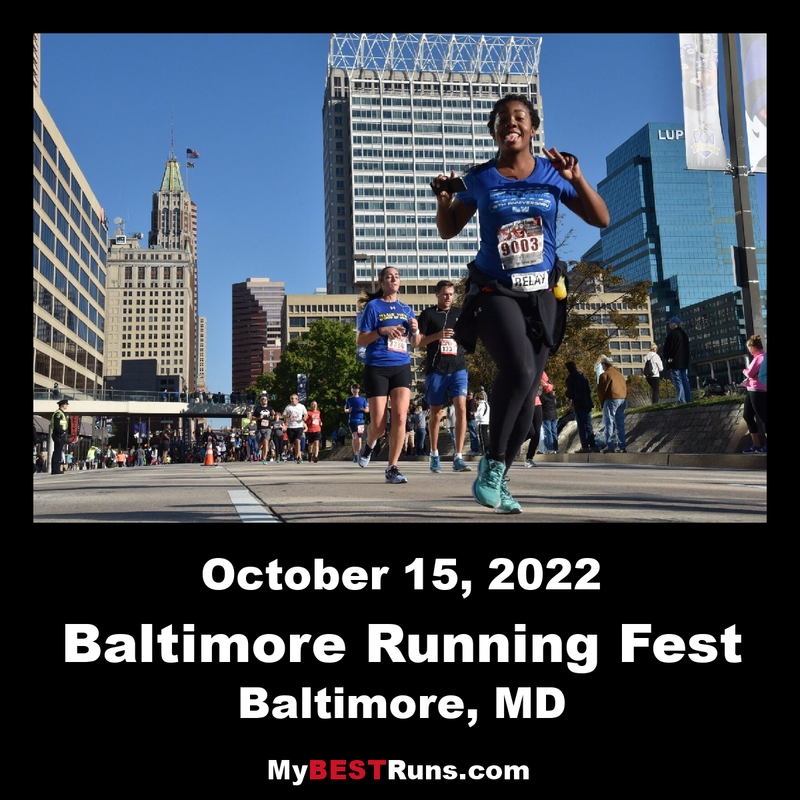 Then it’sa left turn onto Pratt Street to a finish in the shadow of the USS Constellation and a celebration of your run along the waterfront promenade through McKeldin Square, West Shore Park and Rash Field.